​These pairs of words have the same pronunciation, different spellings, and different meanings. A penny perfume would be a cent scent. A mare that has lost her voice. Gazing unblinking at the steps. She was tired and lacked strength for seven days. A chess horse, after dark. Now - it’s your turn. Create some sound-alike pair phrases and we’ll share in focus group. You may note them in your journal or add them to the Comments thread. Looking Back: Have you or your family thought of any more ink pinks? 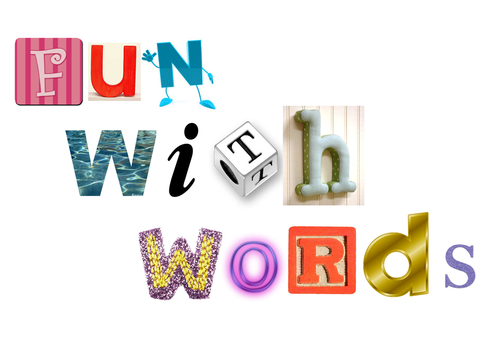 Based on the given clues, determine pairs of single-syllable words that rhyme. Now - it’s your turn! Can you create some Ink Pink clues? Add only the clue (not the solution) to the comments thread and we'll share them together. Let's review what we've learned about Ink Pinks, Homophone Fun and Spelling Bee word play! Use Kahoot to show what we know! Please use your name as your sign in; keep it simple and direct, so I can look at the results afterwards and see patterns quickly for future coaching and growth. If you use a nickname, the past pattern is the bright, competitive students around you will try to think of an even more interesting nickname. Let's keep the creativity and time focused on talent development.